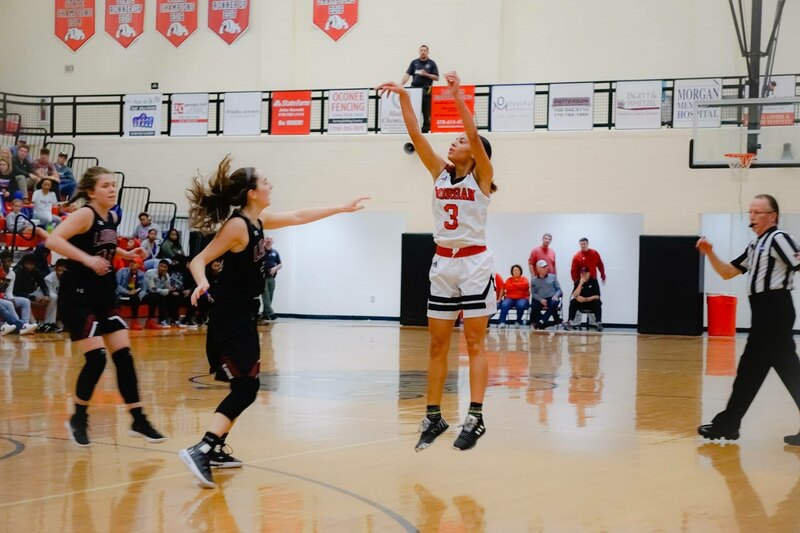 Let’s take a look around the state to see what took place on Friday as schools prepare for the final week of regular season games before the region tournaments. For the boys, top-ranked AAAA Upson-Lee defeated Mary Persons 87-50 in a Region 2 game behind a 25-point effort from senior Travon Walker. The 6-foot-6 forward added 15 rebounds and six blocks in the victory. Jarrett Adderton, a 6-2 senior guard, scored 21 points and grabbed six rebounds. Zyrice Scott, a 6-1 point guard, scored 20 points with eight assists and three steals. Upson-Lee previously beat Mary Persons 72-54 on Jan. 8. In a Class AAAAA Region 3 game, McIntosh defeated Riverdale 50-35 after taking a 12-7 lead into the second quarter. The Raiders got back into the game with a 10-4 run to lead 17-16 at the break. McIntosh responded with a 25-9 effort in the third frame to take control. Bruce Carpenter, a 6-2 senior guard, led with 21 points for McIntosh. Naj Ashley-Emory, a 6-2 senior guard, added 10 points and six rebounds. Cam Lyons, a 5-9 junior guard, finished with six points and five assists. Senior guard Keenan Brown scored five points with five steals. Wyatt Patton, a 6-5 senior forward, finished with three points and 11 rebounds. In a Class AAAA Region 8 game, Zach Ranson’s 16 points led St. Pius X past Oconee County 78-47. The Golden Lions led 16-12 after the first quarter and kept the same margin heading into the locker room after the two programs each added 15 points. St. Pius X found its shooting rhythm in the second half and outscored the Warriors 25-9 in the third quarter and 22-11 in the final frame to win at home. For the girls, Dunwoody outscored Cambridge 11-9 in the first overtime period to take a 50-48 victory in a Class AAAAAA Region 7 game. The Bears led 12-7 after the first quarter before Dunwoody took advantage with a 15-6 run to lead 22-18 at the break. Both teams scored 15 points in the third before Cambridge tied the game with a 6-2 fourth quarter. A pair of free throws were the difference for Dunwoody in the 11-9 overtime. In Class AAAA, Henry County dominated Druid Hills through all four quarters on the way to a 81-22 victory. The Warhawks enjoyed a 22-7 lead after the first quarter before pushing the margin to 41-14 at the break. The Red Devils were held to just seven points in the third quarter while Henry County added 32 points to blow the game open. In Class AAAA’s Region 8, St. Pius X defeated Oconee County 45-27 after trailing 8-4 beginning the second quarter. Pius took the lead with a 14-3 run before halftime and led 18-11 lead at the break. The Golden Lions took control of the game in the third quarter with a 17-7 run. 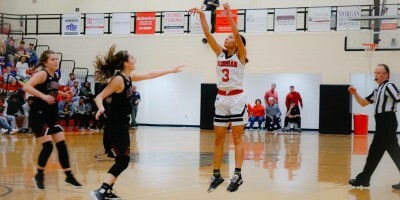 Emma Drash led with 17 points for St. Pius X. Karis Coleman scored nine points, Lindsey Broadway scored six points and Isabella Franco finished with four points. Dawson County found itself down five points entering the fourth quarter before its 17-9 run to win 56-53 over Lumpkin County on the road in a Class AAA Region 7 game. Kaylee Sticker led the Tigers with 20 points and Maddie Anglin added 19 points. Anna Lowe scored eight points and Marlie Townley added four. Sophia D’Oliveira scored three points and Mariah Benson finished with two points.